It gets harder to keep on top of the latest stock market news as the number of new investors continues to climb. I am working on making things easier for you. For starters, I have set up an automatic news update system for you here, that will regularly update with the latest information. 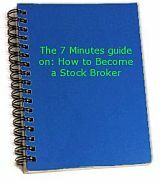 But, not only will I provide the latest stock market information - I have also provided an opportunity to review it and provide commentary to help you make sense of what you read. We also make it easy for you to contribute news that you've come across concerning stock market as well. And, unlike most news services, we make it easy to provide direct public commentary on news items as well. Have Relevant Stock Market News or review to share? Do you know any news related to stock market that you think should be shared but isn't here yet? This is where you can submit information about it. We'll add any stock market news you let us know about and also provide a spot for other visitors to comment on it as well. Your news will appear on a Web page exactly the way you enter it here. You can wrap a word in square brackets to make it appear bold. For example [my story] would show as my story on the Web page containing your story.